We have plans you can use as-is, or we can customize them for you. Some of our clients come to us with their own plans and that’s ok, too. Either way, we want your new home to be exactly the way you want it. We’ll take the time to help you figure out all of the details before we get started on the construction. All of our homes come with 16 hours of time with one of our designers, if you need it. We have several color palettes from which you can choose, or we can customize every aspect of your new home. 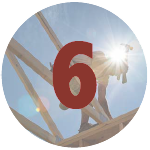 Once you’ve made your selections and the home site has been prepped, you’ll meet with the project manager at the office, then later at the job site with the plans. Everything will be signed off on at that time. Most home builders will discourage change orders by adding (big, huge, large, monstrous) mark ups to them. At G&R Builders we want you to be 100% happy with your new home, and we welcome any changes that you might want to make. We want you to love every inch of your new home. At G&R Builders, we have all of our foundations and our frames engineered by professional structural engineers. They will do inspections during the construction process at appropriate stages. 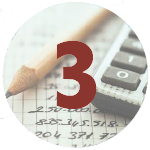 We also hire 3rd party inspectors to inspect the foundation, frame, electrical, plumbing and HVAC systems. After construction is complete, we’ll have a final inspection. 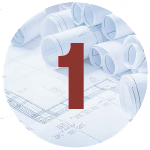 The building process may seem daunting at first. However, from your initial free consultation with one of our professional Building Consultants to the production stages of the custom home building process, we will be available to answer questions and provide you with the quality customer service you expect. This process includes selecting a plan and making modifications. 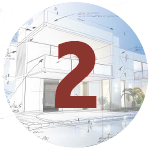 Once you have prequalified and signed a contract to begin the process, you will choose options and selections, review preliminary plans, and discuss any changes within a pre-construction meeting. 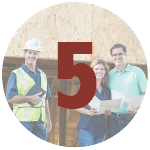 Upon reviewing the customized components of your final plans, the construction loan closing takes place and the job starts. The first step to building your new home is designing it to fit your lifestyle and budget. Through a series of questions, your Building Consultant will help you determine which floor plan best suits your unique needs. Now that you have the perfect plan, your Building Consultant will help you add all the special touches that make your home uniquely yours. Hardwood floors, granite counter tops, fireplaces with stacked stone, brick, or granite, can all be added at this point. At G&R Builders, it’s one stop shopping. You’ll find everything you need to make your house your home right here in our Design Gallery. When all the special touches have been added and the site improvements have been estimated, your Building Consultant will give you the final cost to build your new home. So you love the plan and you love the price. 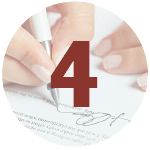 You sign the agreements and our teams go to work making your dream home a reality! Meet with our Project Manager at your site to position your home and determine site preparation costs. Then you’ll have a final meeting to cross the t’s and dot the i’s before we begin construction. 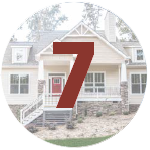 From site preparation, foundation, and framing through mechanicals, interior and exterior finishes, every step is quality-assured by your Project Manager. HOORAY! Your new home is ready. We deliver the keys! Throughout the construction process we welcome you to visit the construction of your new home and discuss any comments or questions with our Production staff. Quality walk through engagements are scheduled for framing and finals and once your home is completely built, closing and settlement documents filed and you move in, we trust your decision to become a part of the G&R Builders family of homeowners will bring about another satisfied customer and another quality built G&R Builders home. To begin your home building process today, visit your local G&R Builders Building Center or contact a building consultant below.